World royals gather to mark Jubilee Jump to media player Royals from around the world have gathered in Britain to mark the Queen's Diamond Jubilee. Queen hosts royals for Jubilee lunch Jump to media player Kings and queens from around the world have gathered in Britain to mark the Queen's Diamond Jubilee. 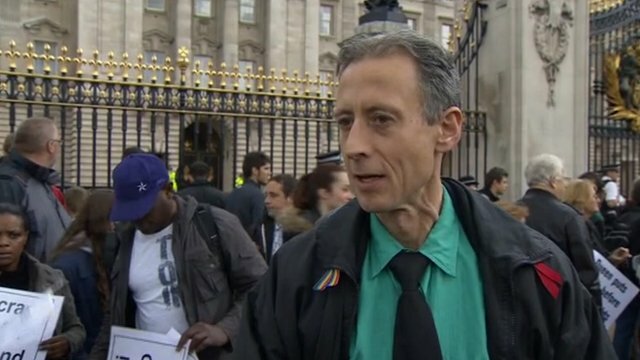 Palace protest over royal lunch Jump to media player A protest is being held outside Buckingham Palace against the visit of the Bahraini King and a number of other foreign royals, who have lunched at Windsor Castle to celebrate the Queen's Diamond Jubilee. 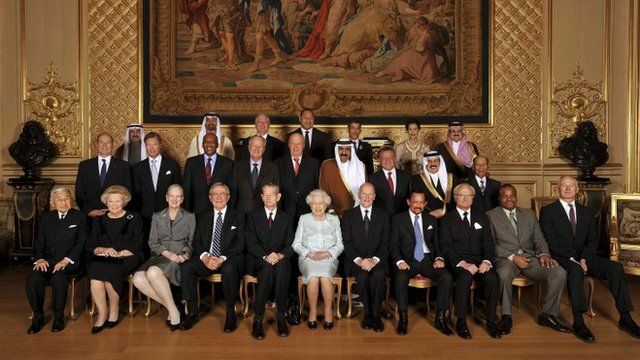 Buckingham Palace has said that the Foreign Office approved the invitation of King Hamad. 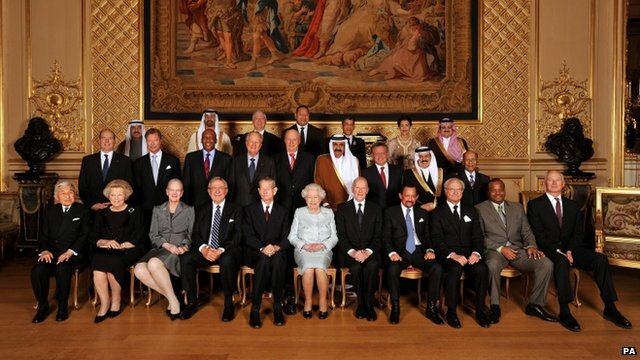 Royals from around the world have gathered in Britain to mark the Queen's Diamond Jubilee.